In my career, I have watched many organisations make the wrong decision or simply missed the indicators and ultimately the business dies. With that moment goes the intellectual property and the livelihoods of many but most importantly the potential for growth and innovations are never fulfilled. In many cases the decisions were obvious.I have built my career as an internationally recognised leader in the field of Competitive Intelligence (CI) and Strategy in business and academically. I am an entrepreneur, a consultant, a company director, an author, an academic and a business coach as well as a corporate speaker on CI and Strategy. I founded The MindShifts™ Group in 1992, as a leading consulting company specialising in Competitive Intelligence, Strategy and Business Mentoring, in response to the number of organisations looking to interpret the landscape of business and make smarter decisions. Since then I have led MindShifts™ through over 350 projects with Australian and Fortune 500 companies. Utilising skills and principles of CI and Strategic Intelligence we have successfully guided a vast range of clients within industries such as aerospace, information technology, pharmaceutical, manufacturing, and financial services companies to build greater businesses. With my existing career in Competitive Intelligence and Strategy I discovered a need that senior executives had when it came to their own personal development. Senior executives looking to advance their careers and development through coaching and mentoring were looking for a service that was positioned at their level with an understanding of the challenges and hurdles that they face. It became obvious that the natural addition to the services we provide at MindShifts was the coaching and mentoring. Since then I have been supporting senior management of organisations through facilitation, teaching, coaching executives and supporting leaders in their decision-making skills, providing inspiration to leaders, executives, and managers with a keen interest in business strategy and professional development. I am a qualified counsellor and MBTI practitioner, with certification as a business coach through the Institute for Professional Excellence in Coaching in the U.S.A. As an Accredited Certified Coach with the International Coaching Federation, I am also currently the only Australian certified in the Energy Leadership Index (ELI), a unique tool which is used to determine engagement, performance and success abilities in work and life. 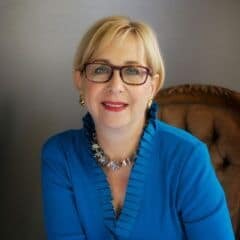 Babette has been like a ‘breath of fresh air’ as my executive coach and mentor. Perceptive and challenging, she cuts straight to the ‘heart of the matter’ and caused me to rethink and reframe the issues that have been holding me back. I absolutely recommend Babette as an executive coach to anyone who is looking to regain their mojo and have some fun at the same time. This impactful three-month coaching program provides entrepreneurs with the opportunity to focus on concrete issues that are getting in the way of them achieving and thriving both personally and professionally. Five x 45 minute coaching sessions. Six x 60 minute coaching sessions. This unique 6-­month program is designed for senior executives who are being groomed for senior leadership roles or who are looking to develop their leadership capabilities, strategic thinking and emotional awareness. 2 x Energy Leadership™ Index Assessment (at the start and conclusion of the program to measure change). One‐hour ‘Deep Dive’ Evaluation session‐ where you will work with Babette to articulate your business and personal objectives, and understand your personal preferences. Nine x 60 minute mentoring & coaching sessions. One‐hour strategy and review session at completion of the program. One ‘power hour’ coaching session‐ three months after completion of program.